Where do your witty Tweets end up? What about the rest of the content you create inside walled platforms like Facebook, Swarm, and Instagram*? Those posts and images are part of your identity yet they are "lost" in a sense when posted to platforms that aren't open. That's where the IndieWeb comes in; it's based around the idea that you have a personal domain and web space where you post everything first, then you can copy it to third party services, like Twitter. The phrase that has been coined to describe it is: Publish (on your) Own Site, Syndicate Elsewhere, or POSSE. While this could be handled with IndieWeb-specific blog software, like Ghost or CMS add-ons, my site is statically generated by Middleman from .md files. Generally this means adding a top level class and hoping the format can be automagically parsed. Luckily for us, Brennan Novak, Barnaby Walters, and others put together IndieWebify.me at the 2013 IndieWebCamps in Brighton and Reykjavik. This is a guide to getting started with the IndieWeb walks you through buying a domain name and federating your posts amongst other IndieWeb-enabled sites. Following that, everything can be found by exploring the wiki. I recommend starting with the FAQ. And be sure to check out IndieMark if you want to dive head-first into the IndieWeb. 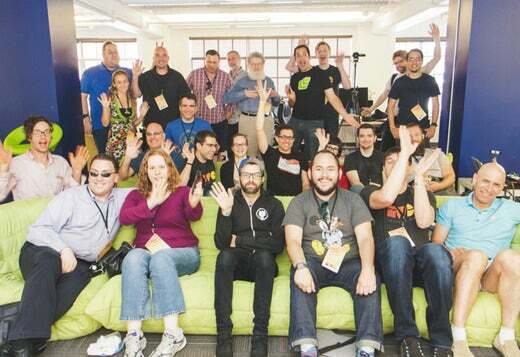 Bring together people that create design/UX/code instead of just email/chat about it. Selfdogfooding, which is using your creations on your own website that represents your primary self. Finally, data ownership, owning what you author by publishing it first on your own site, and only later copying it to your various online services. The next year Aaron, Tantek, Amber Case, and Crystal Beasley organized the first IndieWebCamp. A project page for IndieWeb technologies was launched in July 2014 by the W3C Social Web Working Group. In June of 2016, I attended the very first IndieWeb Summit, held in Portland. It spanned two days, one of presentation, and the other an un-conference, both with an afternoon of productivity. While my trip was not a great technological success due to hardware failure, I was able to work on the architecture and design of my site, and participate in planning the schema. We live in a great time when projects like these can travel from inception to being supported by the W3C. The IndieWeb is a place where you are in the drivers seat, all profiles originate from one space, and free/libre/open values are respected. I have been wanting something like this for as long as I can remember and I'll bet more than a few of you feel the same. So get the portfolio that has been relegated to the bottom of your projects bin. Dust it off, and consider how IndieWeb can change your avatar. My excitement stems from creating a single source of truth, for content and identity! What about yours? Salt - /?/ Kilted Globetrotter, Free/Libre/Open Advocate, and Lifelong Hacker /?/ William Hale, aka Salt, has been using Linux since 1996 and currently favors Debian. He is a Seattle local who owns a web development firm and an event bartending service, graduated from the University of Washington, and lead the Greater Seattle Linux Users Group from 2007 through 2015. Recently, he has joined Snowdrift.coop as Community Director. Amazingly, this is the first I'd heard of this. I'm scrambling to climb on board as of.......now!